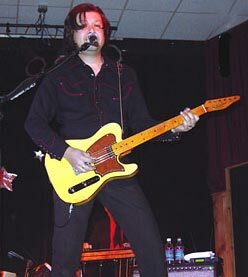 Eddie Perez, formerly lead guitarist for Kim Richey, Jim Lauderdale and Gary Allan is now with THE MAVERICKS! "When Raul called me about joining the band, I really didn’t even have to think about it. Making music with the guys I’ve been a fan of for years? I was in!" Perez says. "In 1996 my dad and I went to see the Mavericks at the Greek Theater in LA, and we were both completely blown away. At that show I told my dad ‘I want to play in that band one day.’ Never did I dream that I’d actually ever get the opportunity!"